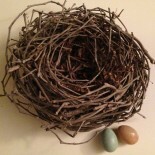 I am NOT a Nurse | A COMPLETE, Empty Nest. I am a proud, 25 year employee of the St. Paul Public Schools. I started out my years at the same amazing school my son was a student in, Webster Magnet Elementary, now renamed Barack Obama Elementary. I remained in the school for 10 years as I moved through the special ed department, and then into Behavior Intervention. I was blessed to move on to the then-Linwood A+ Elementary, now known as Linwood-Monroe Arts Plus for 9 years before I moved on over to the sister campus of Monroe, working for another 5 years before I moved this year to begin my time at Parkway Montessori Middle School as their School and Community Support Staff member. I have loved every school I have had the pleasure to work in. As I worked through the years, my children moved through 5 SPPS elementary, junior and senior high schools. I tell you all this because this year, this month, the teachers in my district found themselves facing the possibility of a strike. If this had become a reality, it would have been the first teacher strike since I have been in the district. I would guess most people who are just learning about this would imagine pay raises to be the primary issue. While salaries were certainly discussed, they were not the issues at the forefront. What’s were the main issues on the table? Teachers were asking for a full time nurse and a full time social worker in every school, media centers staffed with qualified staff, reduced class sizes, and pre-k programs in every elementary school. I supported all of these issues as they can only make each school a better place for those we are there to support; the children. I’d like to take just a bit of time to tell you my thoughts on why I especially support the desire to have full time nurses in each school. When I worked at Webster Elementary all those years ago, one of my duties was to fill in for the nurse when she was absent due to illness or a meeting that took her out of the building, and only if another nurse was unable to come fill in for the day. If another nurse was able to come in as was usual at that time, I stayed on as her/his assistant. Webster had around 1200 students at the time, and Betty was their full time nurse. Betty trained me as though I would be a surgeons’ assistant in the operating room. I was taught the rules and regulations for medication administration, first aid, and CPR. I learned how to look for concussion symptoms, how to use an epi-pen, when to call 911, and how to calm a sick or injured child. Betty was a stickler for detail and followed policy and procedure to the ‘nth’ degree. She trained me in the same policies and procedures, and held me accountable for every detail she taught me. Still, as well as she trained me and as confidant as I was, I was not the school nurse. I was an occasional stand in when no licensed nurses were available. 20 years later, I again find myself in the position of filling in for our Parkway nurse when she is not in the building. This time however, she is ‘not in the building’ 2 days of every week because we do not have a full time nurse. The overwhelming number of nurses in the district are shared by at least 2 schools, often more. We have Jane on Mondays, Tuesdays, and Thursdays. The students are constantly confused about her schedule, and one student put it best just last week when he said to me, “Remind me again which days I can be sick?” Funny, but not really. Rarely a week goes by without a student asking Jane, “Why won’t you work with us all week?”, as though it is her decision to hop back and forth between three additional buildings. Three! She will tell you that if she could choose, she would be here each day of the week. Most nurses in the district would say the same. When Jane is gone, I am expected to continue to do my usual duties, and see students who are in need of medical attention. I am not complaining as I absolutely love my work, the kids and the staff. I am grateful to have employment when so many do not. That said, this is typical for most buildings where nurses are not full time. Someone who is not a nurse is covering nurse duties. What does that mean for our students? It means my attention first goes to the primary duties of my job, leaving kids with medical needs without one person in the building to put them first unless it is urgent. It means if more than one child is sick on non-nurse days, they will have to flip a coin for the only cot I have room for in my non-nurse room. It means when there is a need, I gather up all my students and we have to walk to the other side of the school to get some medications and some first aid supplies that I have no room to store in my non-nurse room. It means if there are any number of urgent medical issues that arise such as a bad bump to the head, or a possible sprain, I have to at minimum consult with a licensed nurse in another building. It means that while I do care about the students and their illnesses, bumps, and bruises-I cannot give them the very best TLC that a full time nurse can give them because I simply do not have the time. I am not a nurse. I am a School and Community Support Professional who fills in long enough to put on a bandaid, give the morning medication, or take a temperature. Our students, and all students should have a full time nurse who can give them the care they need and deserve. Our teachers are currently waiting to learn the details of their newly proposed contract, including how much nursing time will be increased in schools. We are cautiously hopeful that our nurse Jane will be able to be with us at least a day more, if not two more each week. Our children will benefit from this, and how can that be wrong. This entry was posted on February 24, 2014 by renetmyers and tagged nurse, public school employees, public schools, teacher contracts, teacher strike.